When it comes to creating mesmer-eyes-ing eye make up effects, Charlotte Tilbury is queen. Bringing glamour in spades, her Eyes to Mesmerise Cream Eye Shadow has a unique, cream-to-sheen formula, brimming with illuminating pigments and skin-nourishing ingredients to effortlessly enhance your most arresting assets. This exquisite shadow comes in seven, stunning Pre-Raphaelite-esque hues to beautify and 'bring out' every eye colour. Enriched with vitamin E, the creamy pigment has a cooling and refreshing feeling when applied (ideal for tired eyes), while the colour glides on and diffuses seamlessly - cloaking eyelids with long-wearing, crease-resistant jewel-toned shadow. Choose from 'Jean' (pretty champagne pink), 'Veruschka' (mossy, gilded green), 'Bette' (burnished golden amber), 'Mona Lisa' (chocolate bronze), 'Marie Antoinette' (stunning, oyster gold), 'Rose Gold' and 'Star Gold' (coppery gold), then use your fingertips or brush to encircle your eyes and achieve the most hypnotic effect. Pair with Charlotte's Rock 'n' Kohl Eyeliner for even more dramatic impact. Apply Eyes to Mesmerise using your fingers for a soft, smooth and natural day look. Apply it to the eyelid working it backwards and forwards like a 'windscreen wiper' to create a gorgeous wash. 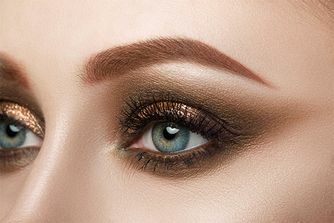 If you have difficulty getting it into the inner corner of the eye with your finger, take an Eye Smudger Brush and run along the lash line and work into the inner corner. Using the Eye Smudger brush, run the product underneath the lower lash line. Blend it in with your finger for a dreamy, hazy finish. For a more intense, smoky evening look, apply the product with Charlotte’s Blender Brush. Go from chiffon to a liquid lamé finish by lightly dampening the brush. Rose Gold: Cyclopentasiloxane, Aqua/Water/Eau, Mica, Diphenylsiloxy Phenyl Trimethicone, Cetyl Peg/Ppg-10/1 Dimethicone, Hdi/Trimethylol Hexyllactone Crosspolymer, Hydrogenated Palm Kernel Glycerides, Sodium Chloride, Silica, Dimethicone/Phenyl Vinyl Dimethicone Crosspolymer, Sorbitan Stearate, Disteardimonium Hectorite, Hydrogenated Palm Glycerides, Silica Dimethyl Silylate, Ethylhexylglycerin, Lauryl Methacrylate/Glycol Dimethacrylate Crosspolymer, Ceresin, Propylene Carbonate, Potassium Sorbate, Polyacrylamide, Glycerin, Sodium Dehydroacetate, Dimethicone/Vinyl Dimethicone Crosspolymer, C13-14 Isoparaffin, Laureth-7, Tocopherol, Ascorbyl Palmitate, Pentaerythrityl Tetra-Di-T-Butyl Hydroxyhydrocinnamate, Tin Oxide, [May Contain/Peut Contenir (+/-): Titanium Dioxide (Ci 77891), Iron Oxides (Ci 77491, Ci 77492, Ci 77499), Blue 1 Lake (Ci 42090), Yellow 5 Lake (Ci 19140), Carmine (Ci 75470), Aluminium Powder (Ci 77000), Ultramarines (Ci 77007), Chromium Hydroxide Green (Ci 77289), Chromium Oxide Greens (Ci 77288), Manganese Violet (Ci 77742), Bismuth Oxychloride (Ci 77163), Ferric Ammonium Ferrocyanide (Ci 77510), Ferric Ferrocyanide (Ci 77510)]. Star Gold: Cyclopentasiloxane, Aqua/Water/Eau, Mica, Diphenylsiloxy Phenyl Trimethicone, Cetyl Peg/Ppg-10/1 Dimethicone, Hdi/Trimethylol Hexyllactone Crosspolymer, Hydrogenated Palm Kernel Glycerides, Sodium Chloride, Dimethicone/Phenyl Vinyl Dimethicone Crosspolymer, Sorbitan Stearate, Disteardimonium Hectorite, Hydrogenated Palm Glycerides, Silica Dimethyl Silylate, Ethylhexylglycerin, Lauryl Methacrylate/Glycol Dimethacrylate Crosspolymer, Ceresin, Propylene Carbonate, Potassium Sorbate, Polyacrylamide, Glycerin, Sodium Dehydroacetate, Dimethicone/Vinyl Dimethicone Crosspolymer, C13-14 Isoparaffin, Silica, Laureth-7, Tocopherol, Ascorbyl Palmitate, Pentaerythrityl Tetra-Di-T-Butyl Hydroxyhydrocinnamate, Tin Oxide, [May Contain/Peut Contenir (+/-):Titanium Dioxide (Ci 77891), Iron Oxides (Ci 77491, Ci 77492, Ci 77499), Blue 1 Lake (Ci 42090), Yellow 5 Lake (Ci 19140), Carmine (Ci 75470), Aluminium Powder (Ci 77000), Ultramarines (Ci 77007), Chromium Hydroxide Green (Ci 77289), Chromium Oxide Greens (Ci 77288), Manganese Violet (Ci 77742), Bismuth Oxychloride (Ci 77163), Ferric Ammonium Ferrocyanide (Ci 77510), Ferric Ferrocyanide (Ci 77510)]. I bought 4 of them and love them, it’s really nice and comfortable on your eyes. I love these creamy eyeshadows. The colour is stunning, the texture is perfect and it creates an amazing smokey effect. Absolutely love these. Bette is probably my favourite so far. If you have oily eyelids and don´t wear a primer there could be a bit of creasing but I've worn this eyeshadow very often during the last year, specially during summer holidays when it was ver very hot, and I've been happy with the way it performs. Also they don´t dry out fast in the pot like many other cream eyeshadows. I'm going to give a caveat to my review in that I don't really use cream eyeshadow all that often so I admit I'm not used to applying it. However, I purchased the shade of Cleopatra and it is so much hard work. When it goes on it's not the vibrant blue/green shade it is in the pot and I found I had to put layers of this on before it started to look anything like. It's more of a murky iridescent grey to start with. It also creased very quickly (though I didn't use a primer). I also feel that the pots are far too large and that no one is going to get through a whole pot of this before the 6-month expiration date. 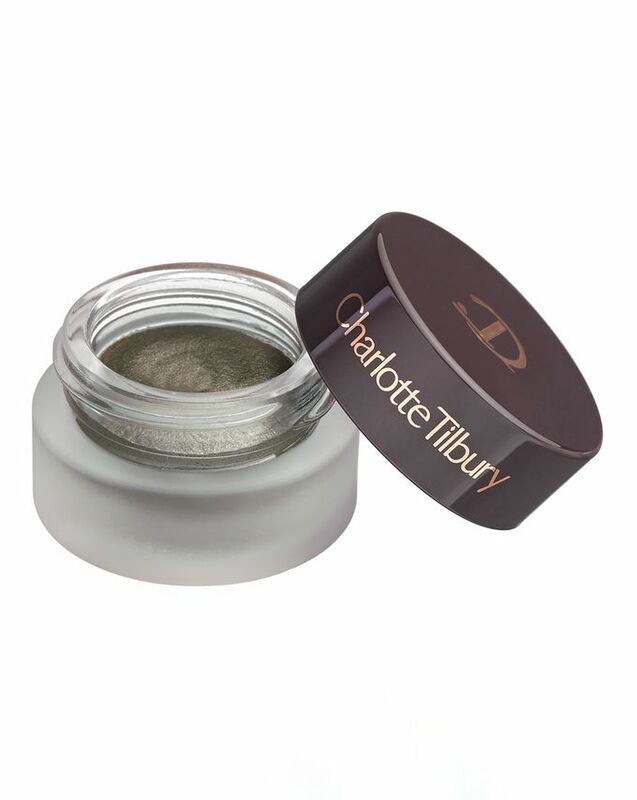 Charlotte Tilbury would be better off manufacturing smaller pots at a cheaper price. Got the shade Jean and the colour is gorgeous! But I'm so upset and disappointed cause shadows faded so fast from my eyelids, not lasting at all and crease like crazy... definitely recommend Tom Ford over CT cream eyeshadows. I have the colour Marie Antoinette and it's sooo pretty I love it! Very smooth, easy to apply and long wearing. I will definitely but more shades! I bought the shade Veruschka. Color and pigmentation is beautiful but not long lasting. After few hours they put in the lines in my crease. I just received this and of course I did try it out as soon as possible. I have the colours Marie Antoinette and Jean. MARIA ANTOINETTE is GREAT with brown eyes, but Jean just make me look sick. In general lovely texture. I ordered the color Bette. Looks so amazing on tanned skin tone. Easy to blend, long lasting. The final look is soooo chic. I'm in love. Have to order other colours. I got the shade Veruschka and its a nice minky green colour. Consistency is amazing too but sometimes if applied wrong it can blend away to nothing. Perhaps I should try it with a primer to make it stay on. It is very creamy or maybe try wetting the brush before applying. Easy to apply and just add more layers to build up the colour. Very flattering shades. Easy to apply, high pigment, resistant! I bought this eyeshadow in the color Mona Lisa. It is really beautiful, easy to apply just using fingers and lasts the whole day. It is an incredible product for the daily office use. I have very fair skin, dark hazel eyes and blond hair, hence this colour just fits me 100%. It stays all day long without creasing and losing the intensity of its pigment. The only issue is that I use it under this eyeshadow my favourite eye primer from Urban Decay. Without this primer, it is quite creasing, though it happens with all eyeshadows I ever used without this eye primer being put under the eyeshadow. Strongly recommend. I've worn this shade nearly every single day since I've got it one month ago. It's a 'no brainer' in the morning when I'm rushing to work and want a quick, yet put together classy look. It's super easy to apply with your fingers, blends well with a crease brush. Mind you, you must wear a primer underneath because it does tend to crease (especially if you have oily lids like I do). Would definitely buy other shades from this range! I wear this shade nearly every day! It has this gorgeous shine & gives a pop to my green eyes. I love pairing it with the purple eyes to mesmerize from Charlotte Tilbury. It does not crease on me, however all shadows whether I use primer or not crease on me so I cannot fault the product. These cream shadows are very pigmented and are very smooth in texture. They glide on and they are very long wearing and stay on for several hours and continue to not crease or fade. The only drawback (specifically for the colour Jean) is that Jean is to light for even my skin tone (I am extrememly fair) however if you were looking for a highlight for your brow bone or inner corners, Jean is the perfect shade. About me: Light/medium olive skin, brown eyes, brown hair. Jean is PERFECT for the ‘no-make-up’ look. It provides just a hint of shimmer to brighten up the lid, and is the perfect champagne color – not too gold, not too pink. Use more product for fuller coverage or for a more intense evening look. But I use this as my go-to when I want to pop just a bit, but without looking like I’ve spent a lot of time on my make-up. I get compliments regularly for this exact reason. Also, although it is a cream, it sets well and doesn't crease - even in hot and humid Washington, DC. Great colours, particularly when you take CT guidance on matching with your eye colour. Works effectively under glasses without getting lost. Easy to apply with fingers and perfect for your handbag for applying during the day or going out after work. I bought the shade 'Jean' which is a champagne colour with a pink undertone. It has a moussey texture and his highly pigmented. I like this but there I little product that comes in the jar! This cream eyeshadow slides on like silk, blends like a dream, has just the right amount of sheen (no glitter) and stays put. I'm not especially oily but I do use a fairly rich eye cream:even then it sticks!! The texture is beautifully soft. Such a little luxury! Easy to apply with a flat synthetic brush, very beautiful colors! I am planning to buy all of them. Very smooth and long lasting, if you are in a hurry, it will be apply very quick.